Confirmation youth at Our Saviour’s Lutheran Church in Iron Mountain recently conducted their annual food drive. Students collected items to help keep the food pantry at First Lutheran Church in Iron Mountain well stocked with non-perishable food as well as personal hygiene products. 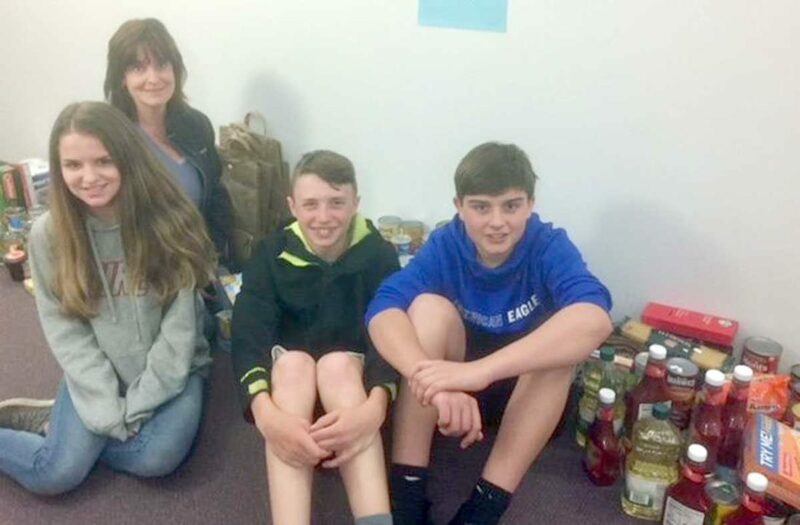 The group that collected the most food per person, with their guide, included, from left, Justine Metras, Alison Metras, Sawyer Pugh and Connor Erickson. “Each year the community is very gracious in donating to their neighbors in need,” said Barbara Partanen of Our Saviour’s.